Uber claims it’s moving forward with a plan straight out of the Jetsons. (Robyn Beck/AFP/Getty Images) A concept illustration for skyports for electric flying taxis is displayed at the second annual Uber Elevate Summit, on May 8, 2018 at the Skirball Center in Los Angeles. By 2023 Uber hopes to allow customers to request rides. When the Olympics come to Los Angeles in 2028, Uber expects to have hundreds, if not thousands, of its aircraft in the skies. 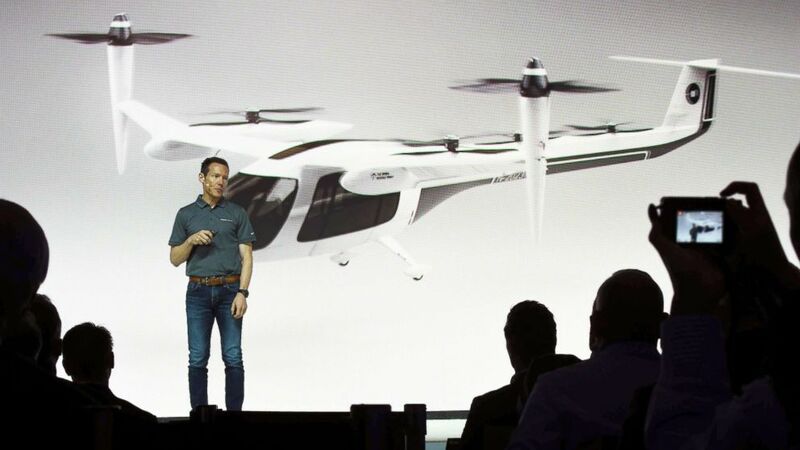 Using its knowledge of rider habits and current rider activity, Uber believes it can create an air taxi service that, until now, has been something in sci-fi movies: buzzing drone-like vehicles flying all over the skies. Big aerospace companies including Bell, Embraer, Boeing and others are working on prototype designs. (Robyn Beck/AFP/Getty Images) Jeff Holden, Uber chief product officer, speaks at the second annual Uber Elevate Summit, on May 8, 2018 at the Skirball Center in Los Angeles. Uber envisions a world in which flying Uber Air would be as cheap as driving in your vehicle – about 44 cents per mile. 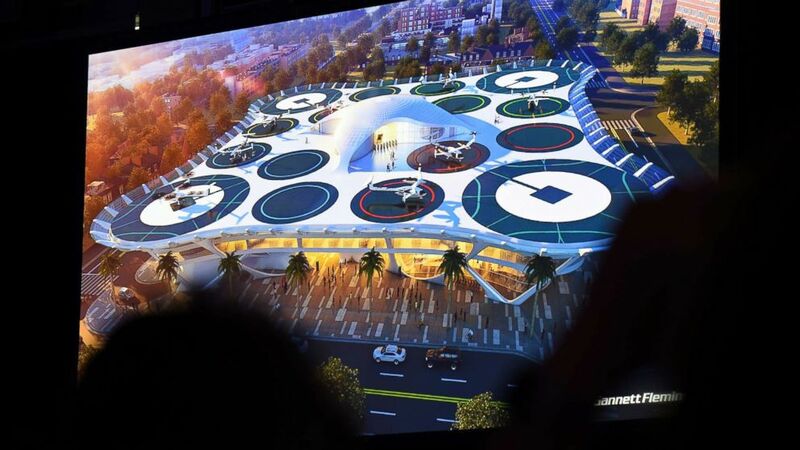 By setting up a system of skyports around cities – starting with LA and Dallas – Uber believes it can create a network of flights that could shuttle riders around safely. Through automation and mass production Uber says the cost of doing business will come way down. Uber believes it could have 10 times as many flights in the air over a single city than the FAA currently deals with nationwide on a daily basis. “Push a button, get a flight,” Uber Chief Product Officer Jeff Holden told the crowd of about 700 attendees. Uber and NASA have signed agreements to work together while aircraft manufacturers work on the vehicles.